Another year, another wealth of music. 2011 was a blend of so many different styles, the combination of old and new themes, and the progression of self production. With technology providing in-home producers the creativity to produce their own masterpieces from the comfort of their computer chair, the landscape of music is changing. Innovation and experimentation are playing greater roles for musicians, and that's an exciting concept. I found it difficult to incorporate both my love for Heavy Metal and Hip-Hop into one definitive list, so, I separated lists this year in order to provide more love to both. So, be on the lookout for those lists in the coming week. Again, I hope to provide some insight into music that you might not otherwise have listened to. And, please feel free to comment and, most importantly to me, share with your friends. Happy listening. My annual album of the year is as much of a personal choice as it is a critical one. I’ve always said that music is a soundtrack to my life; it defines my daily habits, moods, and emotions. I recently became a first time father; combined with the joys and fears that consumed my daily routine for 37 weeks, I defined many emotions during that time with music. Bon Iver was the album I returned to consistently primarily because it felt personal to me and asked questions of myself. The cabin in the woods composition of For Emma, Forever Ago is replaced with a polished studio sound. As the purist cringed at the concept of a studio produced album and a Kanye West guest spot, Bon Iver architect Justin Vernon was making a giant leap into uncharted territory. What came out of removing the comfort zone was an album that analyzed memories and self-examination. 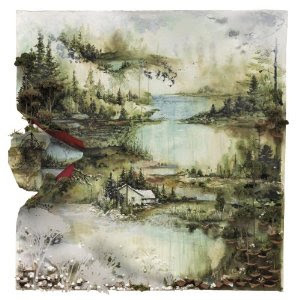 Justin Vernon chooses words carefully, his lyrics invite questions and contemplation of the listener, combined with the multilayered composition, Bon Iver achieves a feat of narrative. Vernon examines being, how life affects us all through time, and how age renders changes both devastating and joyful. It’s a soundtrack to a life not to different from the lives of the listener, in my opinion, a stunning achievement. It’s all a harp song. Pat Grossi, the one-man band behind Active Child, utilizes a mix of synth-pop and dreamy, atmospheric melodies to evoke a spirit of the 80’s. 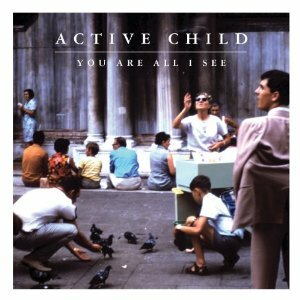 With nuisances similar to the sound of New Order, Active Child has a scope that is not just far and wide but forward thinking and advancing. Grossi’s voice transposes any established criteria, freely flowing throughout his falsetto, adding layer upon layer of sound. The harp sound plays within the composition as both an accompaniment and headliner. The harp is played numerous times throughout You Are All I See and each time it’s stunning to me, especially since it’s tailored with synthesizers and hip-hop drum loops. And, it was done from the comfort of his laptop. 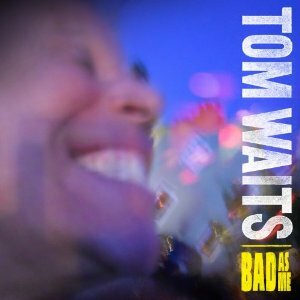 Tom Waits possesses a confidence for everything he does, and some will disagree, but Tom Waits fans completely understand. Although I’m a huge fan of Waits, his most recent albums have been more grandiose and favored towards social commentary, which some fans love. I’ve always admired Waits at his most simplistic and off-the-wall. 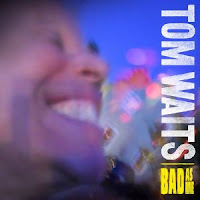 Bad As Me is Waits demonstrating his genius for making any tune, rhythm, drum beat, foot stomp an accomplishment. The gravel in his voice has grown deeper with ever stand-up bass strum, the soft tones heard in his ballads are tender and heartfelt, his Herculean personality saturated in every song. This is Waits unrestrained and capable of almost anything. I saw Adele live in concert merely a week after her first album 19 was released stateside. With an audience of about 150 to 200 people she sang a few covers and basically her entire album. It was hard not to admire and adore such a bare performance, single spotlight, one chair, and a band barely seen in the dark of the stage, the focus plainly on her stunning voice. 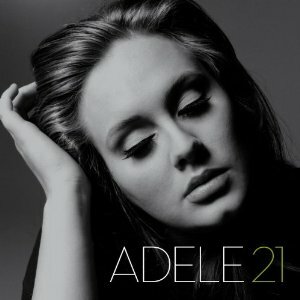 Fast forward now and Adele is one of the biggest acts in the world, reaching a level of over-played song status. But though her songs are on every music channel and station, one can’t deny the power and force behind the follow-up album 21. Emotion is woven into every single song; you can almost feel her lose composure on some tracks. This is soul music. Just as it seems like Girls have backed themselves into a corner creatively, Father, Son, and Holy Ghost erupts with on-the-fly diversity. There is something spectacular about a band that seems to evade genre identifiers and that’s what Father, Son, and Holy Ghost does. 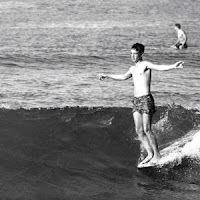 It moves freely from beach pop, to strumming classic rock, to high feedback metal, and soft acoustic…all in eleven songs. Even though the elements seem disjointed and haphazard, each song seems to flow seamlessly into each other and feels more like a calculated artistic choice than a random occurrence. It might be the fact that I’m coming to terms with my middle age, but In The Grace Of Your Love struck me primarily because of the subject matter of family, fatherhood, and the latter years…the matter that fills the mind of a thirty-something. 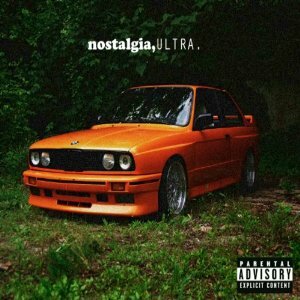 This album has realness unlike other albums on the list. The familiar themes are kept front and center by the unrelenting composition. Upbeat, drum filled loops make this album feel dance worthy, add the heartfelt lyrical content and that’s a combination of two fierce powers. 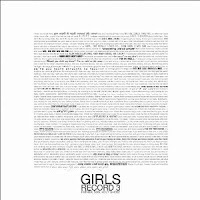 It’s an album that stays on repeat, and feels different when shuffled in different orders, a clever combination of content and composition. I had zero expectation when I picked this album up. After my first listen, I completely fell in love with No Time For Dreaming. This neo-soul album is a greeting card from Charles Bradley that he’s been waiting a lifetime to write considering he’s in his early 60’s. 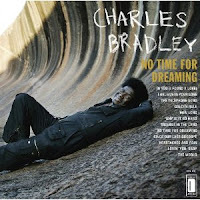 A good description for Charles Bradley would be a mix of Otis Redding, Percy Sledge, and Lenny Williams. This has everything you’d expect from a true soul album, themes of heartbreak and loss love, crying vocals, and heartfelt passion. As with most soul artists, honesty is a hard thing to find, but Bradley feels more real than any other R&B mainstay in the top 40. 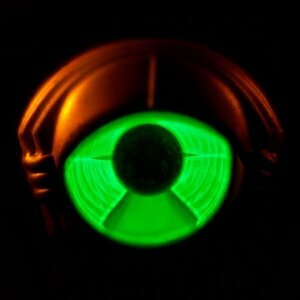 In my opinion currently the best live band around, My Morning Jacket return with Circuital to finally make the album that combines all the elements that have contributed to their success. Circuital has a little bit from all previous MMJ albums, however that doesn’t stop them from experimenting with the sound that defines them. The familiarity is deceived by the experimentation, and it makes MMJ feel new and undiscovered. I can see new fans of MMJ having difficulty grasping previous efforts from the band after listening to this album. However, that’s not a bad thing in my view, it will be interesting to see where this band goes next. Fucked Up could have the best storytelling album of the year. David Comes Alive is an embodiment of disorder and chaos that makes perfect sense from start to finish. Amongst the moan and growl of Damian Abrahams vocals is a story of despair, anger, redemption, and happiness. 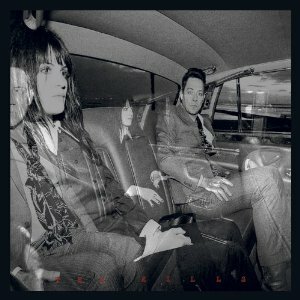 Fucked Up possesses an operatic manner throughout, full of the passion and fire that fuels punk criteria. 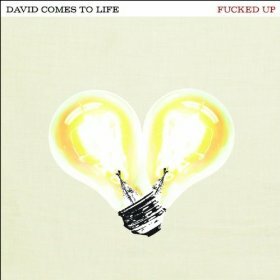 With assistance from Kurt Vile and the Cults on guest spots, David Comes Alive is a sweeping epic from start to finish. First album success, especially critically acclaimed success, is a scary predecessor. 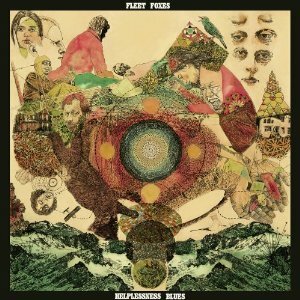 Fleet Foxes had to meet expectations, and it’s been a divided field, some people have nothing but disdain for Helplessness Blues. However, Fleet Foxes second album discovers a way to shape their sound into a more efficient vehicle. 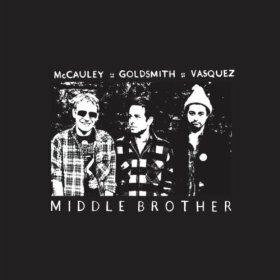 Their method is similar but heightened, they possess a greater depth of sound throughout, and the pace of the album is flowing and smooth from track to track. Some groups try to re-invent the wheel after success, Fleet Foxes, however, proves that the wheel wasn’t finished after the first album, but could be after Helplessness Blues. I admire the ambition of releasing a double album. It shows an unnerving confidence in the material, and unfortunately usually doesn’t work out for most artists. 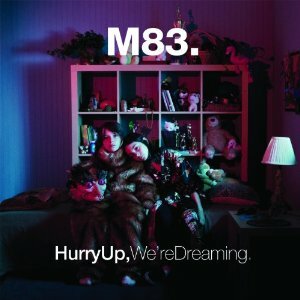 M83 is three albums into a career that relishes a transformed nostalgia. 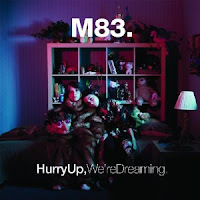 Hurry Up, We’re Dreaming could be a part of a soundtrack to a never finished John Hughes movie, it harbors an 80’s sensibility, with touches of late 70’s alt-rock, that is transposed uniquely to fit comfortable in today’s shifting alternative market. Carney and Auerbach are back at it, in all the foot-stomping glory. 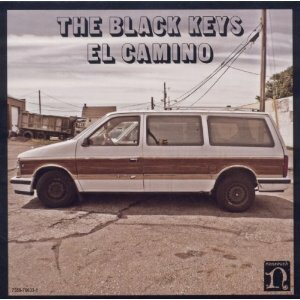 El Camino is the biggest album of The Black Keys career. Blues guitar riffs full of fuzz, hard pulsing drums, big choruses, and atmosphere filling back up vocals. Do yourself a favor and pick this up on vinyl, it’s spectacular to hear the intricacies. What are you waiting for? Separation from familiar settings can add gasoline to a flame, however it’s also a balancing act to add enough gasoline to not snuff out the flame. When Bowie channeled Ziggy many thought he had lost his mind, and history has determined otherwise. 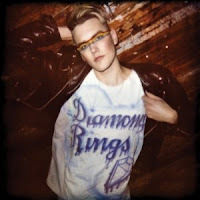 John O’Regan’s revelation as Diamond Rings, in all glamour and mascara, is a giant step from his comfort zone, and Special Affections has a rewarding personality all its own. Beauty is often referred to as blind. Be it the deceiving and hidden nature that we are blind to, or must blindly discovery by stripping the complex layers; Strange Mercy is all of these examples. On the surface it deceivingly sounds and looks one way, but with each additional listen the layers begin to shine through, unearthing a beautiful melody of voice and composition. Take another listen to this album it deserves another turn. Blending a balance of harsh and soft elements is the accomplishment The Big Roar achieves. Whether it’s the gentle vocals of Ritzy Bryan amongst the bang and crash of the kick drum and cymbal in the opening track, or the wailing lead guitar riffs that feel perfectly controlled with the chaos stirring in “Whirring”, The Joy Formidable seem more than comfortable in each realm. I can feel the controversy already. 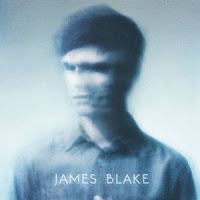 Yes, James Blake is not for everyone, this is a difficult album to understand, and the elements incorporated can be difficult to listen to…for some. But for those that are willing to journey away, James Blake is exploring a personal realm. This is an album from an artist challenging himself, moving away from the norm and searching for direction. The atmosphere is deep, the composition is disorienting, and the result leaves more questions than answers. 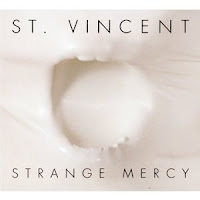 And ultimately, it’s daring and ambitious; an album that will be reanalyzed until it finds a decade that it fits in. Clearly ahead of its’ time. 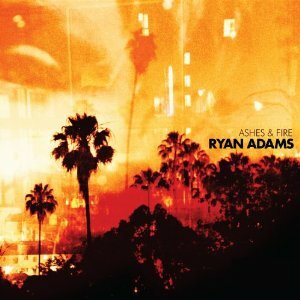 It’s been trying in the past to single out a Ryan Adams album considering he’s been releasing two to three albums each year, but Ashes and Fire was the guitar-in-hand album I’ve been wanting to hear from Adams for quit a while. The composition is loose, which helps to display Adams’ musicianship, the lyrics are clever and subtle. Adams’ has always painted stories with his music and instead of crafting individual paintings for each song as he did in past efforts, Ashes and Fire is one complete portrait that adds depth with each track progression. Deer Tick, Delta Spirit, Dawes…yes, they’ve all been on previous “best of” lists. Take all three of those bands front man and put them on one album, can you say super group? 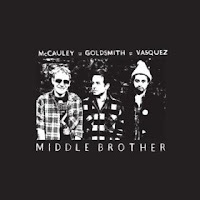 It worked for Monsters of Folk, and again, it works for Middle Brother. Each member of the group takes a turn singing lead, but the joy I found in this album was discovered in the harmonies. From the lead off track, the harmonies sound like a group that has sang together for years. Middle Brother combines for a focused introduction. It seems like yesterday that The Kills were covering Captain Beefheart on The Rooster EP. Blood Pressures is a return to the beatbox-blues staple that defined early Kills albums. Though it feels familiar, it also feels so much more mature and complete than previous works, even the explosive Midnight Boom, and that’s saying a lot considering the material on Midnight Boom. Also, on a side note, Alison Mosshart is a badass, you can’t help but fall in lust with her after hearing her sing. It’s hard to make Soul music, which deftly combines elements of romance and heartbreak, sound honest. With The Awakening, Morrison finds stride with the honesty of love and romance, focusing less on the heartbreak, and utilizing his cheerful delivery to express his happiness. A nice mix of uplifting expressions, dance worthy beats, and few slow jams, which seem designed for midnight escapades…gentlemen, turn off the lights. 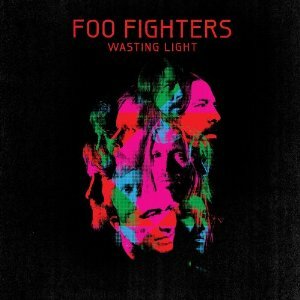 Dave Grohl, the man of one thousand bands, has made a career of sticking with a formula that works for the perfect amount of time. That method has a tendency to trap an artist, or confuse an audience more keen to the past, but Grohl has a storied and, though some might disagree, iconic career that provides the greatest of skills…experience. Not only did he recruit former Foo member Pat Smear, but he also featured Nirvana band mate Krist Noveselic as well. The band feels and sounds bigger than they ever have, the Foo are functioning as a well-oiled and polished machine. Radiohead has made my list more than any other artist…biased much? 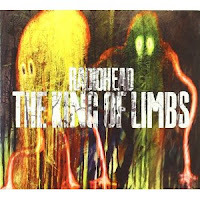 Well, yes I am, but it’s also becoming more difficult because of the amount of expectation I have for a Radiohead album. Radiohead continues to perplex me with their creativity. Just when it seems as if they are finding comfort with a specific form, they turn a corner into another avenue of diversity. That’s why they make this list, and will likely continue making my list. 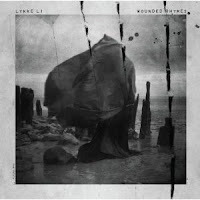 Swedish Queen Lykke Li walks a fine line of protagonist and antagonist. She evokes an authority with both ego’s however, an unnerving confidence of her abilities both as a boundary breaking artist and unbound voice for female performers. Scary good. The Odd Future byproduct comes together with a distinct blend of R&B and Soul, touched upon by interesting samples and clever subject matter, for example the merits of Jodeci and Radiohead. Plus, anyone who references Stanley Kubrick’s Eyes Wide Shut with such ease was bound to make this list. It’s a strong introduction that plays to Ocean’s strengths and was prominent in making him the must-have guest appearance on many mainstream albums. 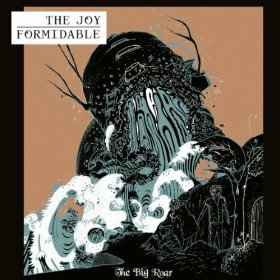 This Phoenix, AZ band is the only local band to make my list this year. Kinch is an embodiment of retro upbeat rock/pop music, and on their third album their sound has come together sublimely. 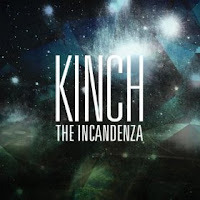 Kinch utilizes clever compositions and ingenious wordplay to evoke that “foot stomping” appeal, it’s only a matter of time before they branch out to wider markets, but AZ can always say, “we had them first”. Catch them in concert if you can. Mr. eclectic... 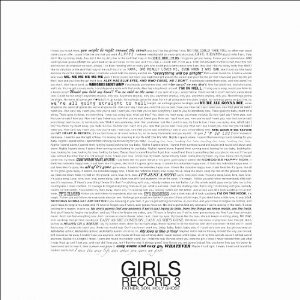 I have one of these records... Sometimes I need people like you to remind me that I live in a vacuum... Great list. I'ma check some of this stuff out. You're like the 75th person to recommend Adele to me. 25 more and I'll check her out. I figured the Waits would have been a lock for number 1. I dig it. Especially when, as you put it "the landscape of music is changing..."